According to an announcement by DEC: “The large number of vehicles parked on the private road during the Memorial Day weekend blocked access for private landowners, and now the landowners are prohibiting the public to park on the private road between 4 p.m. Friday and 7 a.m. Monday and have posted signs along the road reflecting this decision.” » Continue Reading. 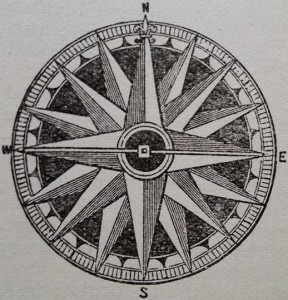 Contribute Your Knowledge: Send observations, corrections, updates, and suggestions to adkalmanack@gmail.com. Event registration is now open for the Ausable River Association ‘s 6th Annual Ride for the River, which will take place on Sunday, July 16, 2017. 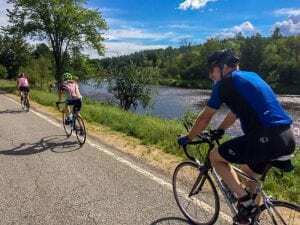 The family-friendly event is a fully supported road cycling tour featuring three distance options, all showcasing the Ausable River watershed. 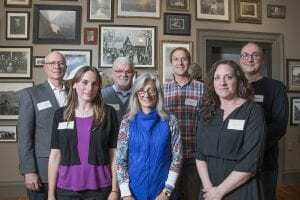 The Ausable River Association (AsRa) created Ride for the River in 2012 to celebrate the resilience of local communities following the flooding caused by Tropical Storm Irene. In partnership with Cycle Adirondacks, the 2017 ride will feature opportunities for cyclists to learn about the impacts of road salt, invasive species and undersized culverts on Ausable streams and habitat. The Adirondack Community-based Trails and Lodging System (ACTLS) has scheduled a Project Advisory Committee meeting for June 13 at 10 am. 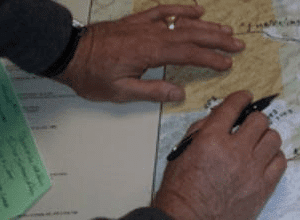 The ACTLS is developing a conceptual plan for potential trail networks and key locations for potential lodging facilities within the Adirondack Park. The Project Advisory Committee is made up of a variety of local government, nonprofit, economic development, recreation, and other stakeholders. The committee is expected to oversee the project and provide input on local and regional issues. The public is welcome to attend. Topics for discussion include a project update, review of the community workshops held last fall, updates on the project and the identification of priorities. 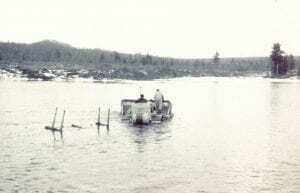 TAUNY (Traditional Arts in Upstate New York) is holding an opening reception for their latest exhibit, “You’ll See Our Tracks: Raquette River Dam Stories” on Saturday, June 10, 2017 . 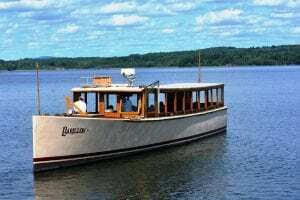 The Raquette River, which flows from Raquette Lake to the St. Lawrence River, is one of the most heavily dammed rivers in New York State. From 2014 to 2016, TAUNY partnered with the Raquette River Blueway Corridor Group, the Village of Potsdam, and Watertown PBS to document the stories of people involved in or significantly affected by the construction of the hydroelectric dams and powerhouses along the Raquette River. » Continue Reading. The New York State Department of Environmental Conservation (DEC) has closed the Wakely Mountain Trail until further notice due to safety concerns with the Wakely Mountain Fire Tower. 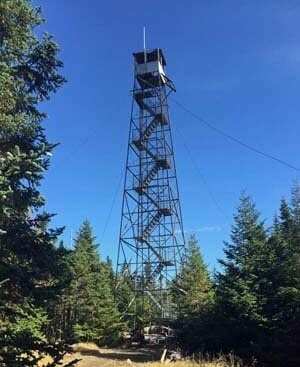 “The fire tower was closed to public access in December 2016 due to structural deficiencies,” and announcement from the state agency said. “The condition of the tower has worsened and it is possible the tower may collapse in heavy winds.” » Continue Reading. 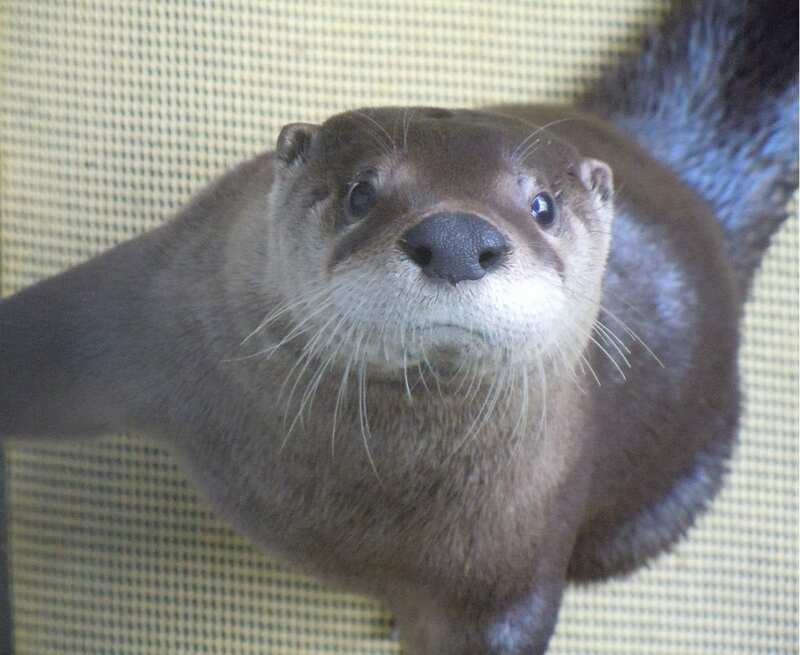 Officials at The Wild Center in Tupper Lake have announced the passing of Remy, one of the natural history museum’s four river otters. Remy, who was eight years old, passed away at The Janet L. Swanson Wildlife Health Center at Cornell University on April 23rd after a brief illness. A necropsy will be performed, with results expected in a few weeks. During his illness, Remy was under the care of Cornell staff. Remy was born in 2009 at the Pittsburgh Zoo and PPG Aquarium and came to The Wild Center in 2010. Typically, in the wild, otters live approximately 8-12 years. 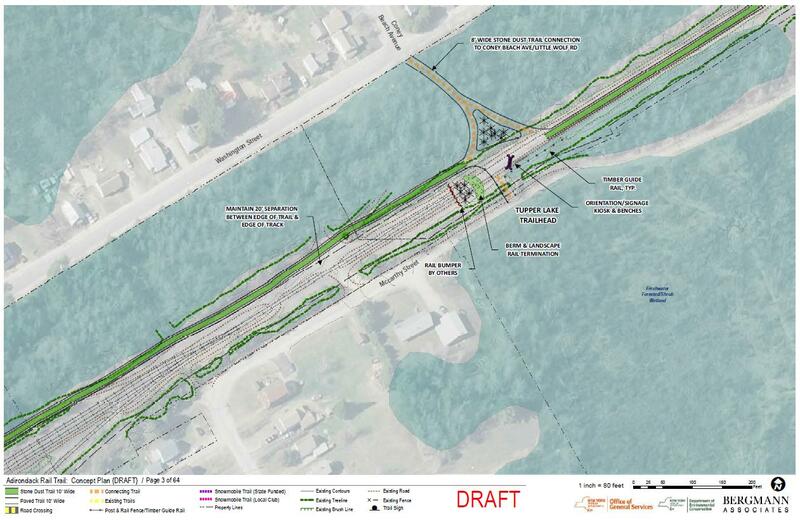 A Draft Adirondack Rail Trail Conceptual Plan outlining the general design and features of the future 34-mile, multi-use recreational trail on the railway bed between Lake Placid and Tupper Lake has been released for public review and comment. 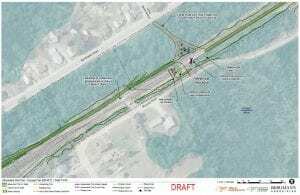 “The Draft Adirondack Rail Trail Conceptual Plan is an important step in developing a unique, world class outdoor recreation trail like no other in the Adirondacks, New York State, or the nation,” said DEC Commissioner Basil Seggos said in a statement issued late Monday. 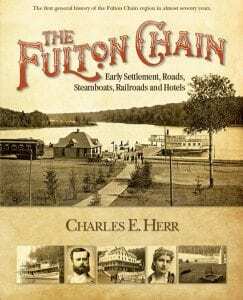 “The rail trail will connect the villages of Tupper Lake, Saranac Lake, and Lake Placid, providing visitors and residents with new opportunities to walk, hike, and bike in three seasons, and cross-country ski, snowshoe, and snowmobile in winter, boosting local economies in surrounding communities all year long.” » Continue Reading. 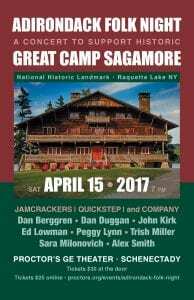 Great Camp Sagamore will present “Adirondack Folk Night: A Concert to Support Great Camp Sagamore” this Saturday, April 15th, at Proctor’s Theater in Schenectady. This concert is a gathering of some of the most accomplished traditional musicians of the Adirondack Region. Appearing will be Dan Berggren, Ed Lowman, Peggy Lynn, Dan Duggan, Trish Miller, Sara Milonovich, John Kirk and Alex Smith. 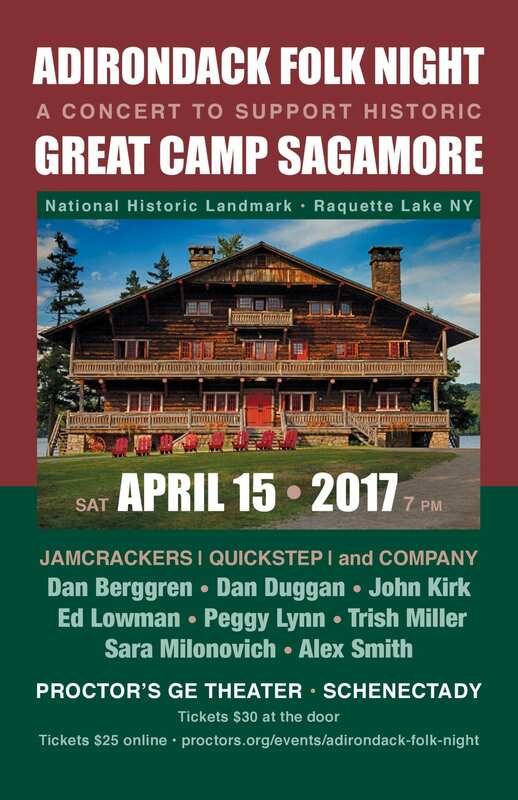 The concert celebrates over forty years of musical programming at Sagamore and all proceeds go to promote the future of Adirondack folk music at Sagamore. » Continue Reading. This weekly report of outdoor recreation conditions in the Adirondacks is published each Thursday afternoon and can be heard Friday mornings on WSLP Lake Placid, and the stations of North Country Public Radio.